FixMyStreet sends users’ street reports to councils across the UK. But if you’re one of the staff that receives these reports, you might sometimes wish for more insights: which issues are most commonly reported in your area? What’s a bigger problem, dog fouling or potholes? How quickly do reports get fixed, and how does this compare with other councils’ performance? To make it easy to discover the answers to all these questions, we’ve just rolled out a new stats dashboard on FixMyStreet — and it’s free to access if you work for a council. 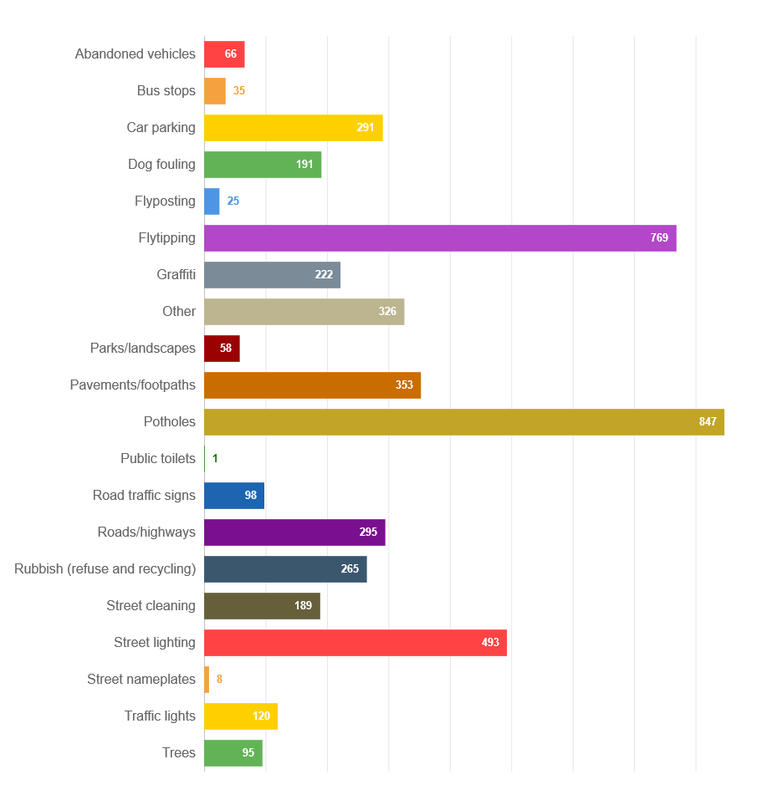 How many FixMyStreet reports have been made in your area across various time periods? How many reports have been made in each category? What are the average times between reports being made and being marked as fixed, and how does this compare to other councils? Which categories of report are most common within your area? Which categories of report does FixMyStreet send to your council, and which email addresses does it use? From this exclusive area, you can gain a more in-depth understanding of how FixMyStreet is being used in your area, while also getting a taste of the fuller functionality available with FixMyStreet Pro. So, if you work for a council, head over to the dashboard page now, and start exploring.